SAN DIEGO (CNS) — A former editor of San Diego’s diocesan newspaper has found a different medium for spreading the Gospel message. 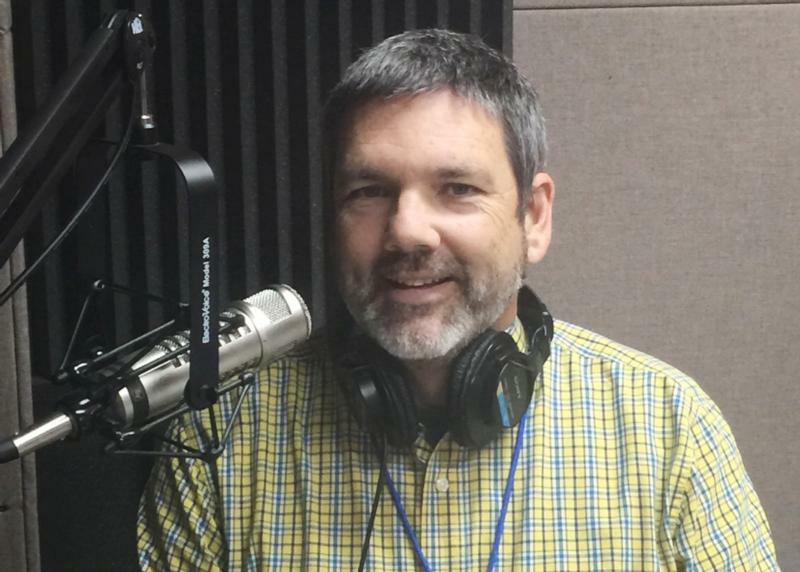 Cy Kellett, who was editor of The Southern Cross for a decade, is now the host of “The Bright Side With Cy Kellett” on Immaculate Heart Radio, a nonprofit lay apostolate that operates a growing network of Catholic radio stations in the West. In the San Diego area, Kellett’s show can be heard weekdays from 9 a.m. to 10 a.m. on KCEO-AM 1000. Listeners also can hear his show via a live national feed on the radio network’s website, http://ihradio.com. The site also has podcasts of his and other shows. “The Bright Side,” which debuted in January, presents the news of the week with commentary from a Catholic perspective. Kellett’s previous program, “The Cy Kellett Show,” had been broadcast on Sunday evenings since last March. In an interview with his former publication, Kellett spoke passionately about radio and its potential for evangelization. “We’re not just saved out of our sins, but we’re saved into a community,” he said. With his show, Kellett said, his goal is simple: to share the good news. Kellett said no topic is off-limits on his show, and any issue on which the Catholic Church might take a position is fair game. Recurring subjects have included science and technology, social trends and Pope Francis. As a radio host, Kellett said, he feels “an enormous responsibility,” not only to the teachings of the church that he loves, but also to his listeners. Immaculate Heart Radio is 100 percent listener-supported, and many of the financial donations could be considered “sacrificial,” he said. As a result, he feels an obligation to provide a substantive program that is worthy of their support. He also strives to be always respectful of others’ views, sharing his own perspective while recognizing that there are many issues on which Catholics are permitted to disagree with one another while remaining in communion with the church. “I do feel very sensitive about trying to be creative, and interesting, and engaging without every trying to make it about my agenda,” but rather “about our shared Catholic life and faith,” he said. In addition to his duties as host of his own show, Kellett also currently is community relations officer for Immaculate Heart Radio, a position he has held for almost four years. He frequently travels to dioceses with Immaculate Heart Radio stations, including San Diego, Los Angeles, Orange, California, and Las Vegas and gives a brief talk about the radio network during weekend Masses. He later taught at a Catholic school and joined the Catholic Worker Movement in Boston. After earning a master’s degree in literature from the University of Massachusetts, he returned to San Diego, where he worked for 12 years on the staff of The Southern Cross, first as a staff writer and then as editor.